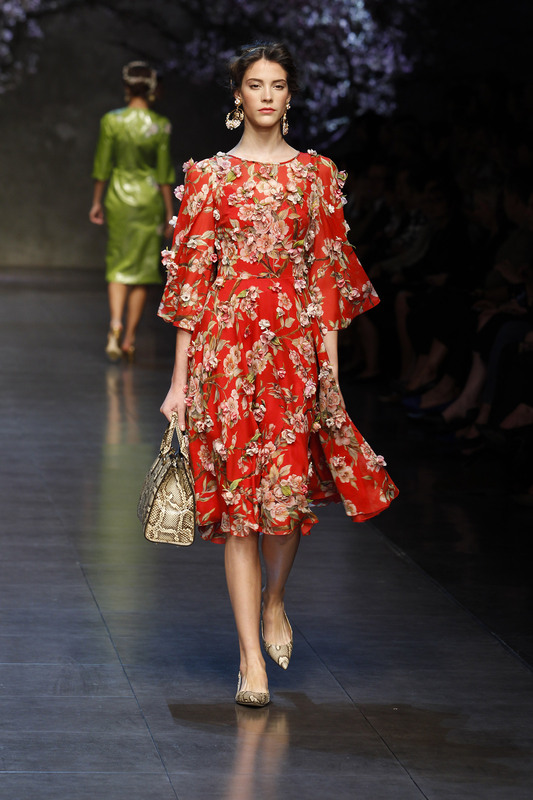 As always, their latest show was ultra feminine and evocative of that great Italian era à la La Dolce Vita. 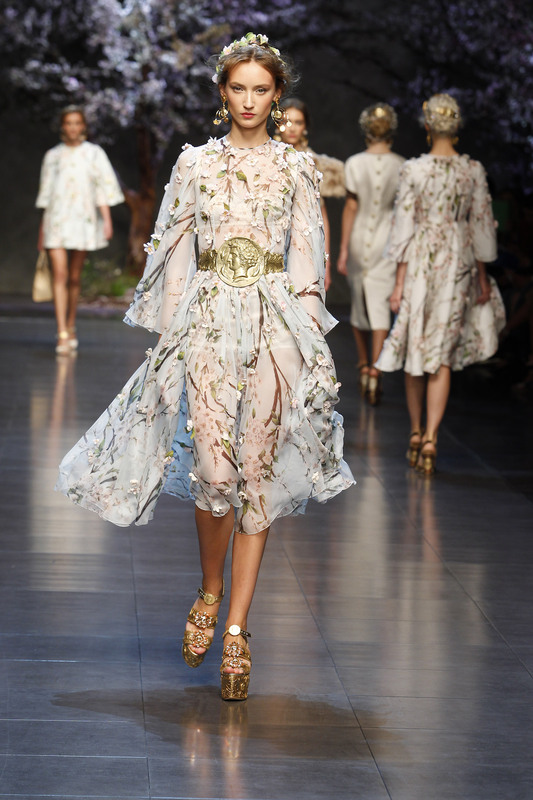 Spring was on full show with the gorgeous floral prints, embellishments and flower crowns. A girl can dream. All images via Dolce & Gabbana.